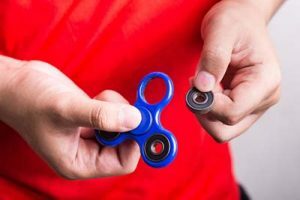 Fidget spinners have been one of the most popular gifts of 2017, but the small pieces can fall out and cause a child to choke. By now, the children in your life have probably sent you their holiday toy wish lists. But just as important is the holiday “don’t buy” list. W.A.T.C.H. released nominees for its “10 Worst Toys of 2017” list in mid-November, leading with Hallmark’s “Ittys Bitty” Baby Stacking Toy. This toy was recalled by the Consumer Product Safety Commission (CPSC) in August. The fabric hats and bows on the Disney characters can detach and cause a young child to choke. This toy also has no safety warnings or age recommendations. Toy 2: Tolo’s Tug Along Pony. This toy is marketed for children 12 months and older. It has a 19-inch cord, which is permitted for pull-along toys. But W.A.T.C.H. says this toy poses a strangulation hazard and does not carry any safety warnings. We saw the worst that can happen last week in Harrisburg, PA when a hoverboard caught on fire in a family’s home, claiming the life of a three-year-old child. The hoverboard reportedly ignited while charging, destroying the home. The three-year-old girl died at a local hospital and two other girls were left in critical condition. The girl’s father and a teenage boy were treated for smoke inhalation. This tragedy was compounded by another death; a local firefighter was reportedly killed in a motor vehicle accident while driving to the fire, the victim of an alleged drunk driver who now faces charges. 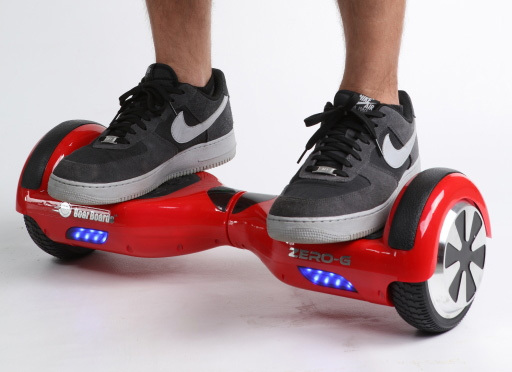 Despite fires and hard falls, the hoverboard was one of the year’s most popular gifts. Reports of hoverboard fires began before the holidays. Amazon even told consumers to return some models in mid-December and notified sellers that they must provide documentation showing hoverboards are compliant with safety standards. The Consumer Product Safety Commission (CPSC) opened an investigation on Dec. 16th, after reports of 10 hoverboard-related fires in Washington, California, New York and other states. The fires often happen during charging. The CPSC has also received dozens of reports of hoverboard-related falls from hospital ERs, including concussions, fractures and internal organ injuries. Christmas Day brought more injuries, revealed as photos and videos were posted to social media. One headline from the Washington Post: “Thanks for ruining Christmas, hoverboards.” Below is a video from the report. This is a dangerous product and safety concerns need to be addressed. If you received one, consider returning it. If you keep it, follow instructions for charging it. Do not charge it overnight or while you are outside the home. Also, remember most airlines have banned hoverboards due to the fire risk. If you do ride, always wear a proper helmet and padding while using this product. Ask what the local traffic laws are before use. Many people also received drones as holiday gifts. The Federal Aviation Administration (FAA) predicted more than 1 million drones would be gifts on Christmas Day. 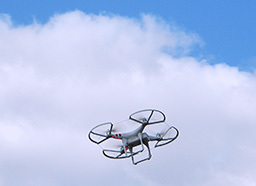 The FAA has set up a website to register drones. Anyone with an aircraft weighing from a half-pound to 55 pounds must register with the FAA. Drone owners who are 13 and older must register on the FAA website. Parents with younger children are expected to register on their behalf. There are serious concerns about drones interfering with airplane traffic, but there are also very real concerns about general transportation safety. Drone owners must take care to be sure that they do not interfere with traffic, bicyclists or pedestrians. Be considerate and be aware of local laws and ordinances related to drone use. Last week we learned the National Highway Traffic Safety Administration (NHTSA) issued Honda Motor Co. two safety fines totaling $70 million. The fines were announced last week but had been issued before the New Year. These are the largest penalties the NHTSA could impose. With them, automakers finish the year paying $126 million in civil penalties, the most ever for one year. The amount also exceeds the total amount collected in all 43 years of the NHTSA’s operation. 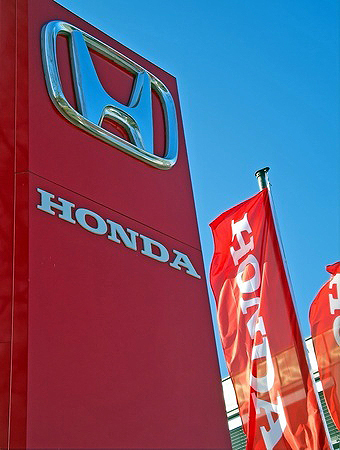 Honda was fined $35 million for failure to report submit early warning reports (EWR reports) identifying potential or actually safety issues. The company failed to report 1,729 death and injury claims between 2003 and 2014. Honda was fined a second $35 million for failure to report certain warranty claims and claims related to its customer satisfaction campaigns, in which a manufacturer quietly agrees to fix defects on cars even beyond the normal warranty period. Honda was ordered to submit injury reports as part of the NHTSA’s investigation on defective Takata airbags last year. Some of the drivers who died as a result of the Takata airbag defects were driving Honda vehicles. 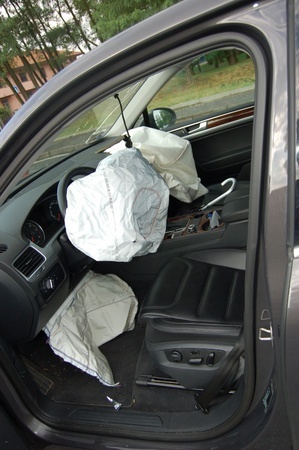 The airbag defects are linked to at least five deaths and dozens of injuries in the U.S. Automakers have recalled nearly 14 million cars with these airbags worldwide. Takata, a Japanese company, has limited its recalls to Florida, Hawaii and other warm weather states, despite pressure from the NHTSA to expand the recall nationwide. Among the companies the NHTSA fined last year: Gwinnett Place Nissan, Ferrari S.p.A. and Ferrari North America, Chapman Chevrolet LLC, Hyundai Motor America, General Motors Company and Prevost and Southern Honda Powersports. 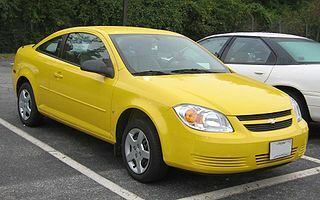 Then of course there was General Motors, which was fined $35 million for how it handled a recall of more than 2 million vehicles with ignition switch problems. It also paid a separate $441,000 fine for failure to fully respond to a special order by a specified due date. Toyota is not on the list of companies which paid civil penalties in 2014. But it paid the U.S. government a $1.2 billion criminal fine for it actions during a safety investigation. In the New Year, the U.S. Department of Transportation and NHTSA are proposing to increase the maximum fine for auto safety violations from $35 million to $300 million. The agencies also want the NHTSA to have additional authority to compel companies to recall unsafe products. U.S. Department of Transportation Fines Honda $70 Million for Failing to Comply with Laws That Safeguard the Public, National Highway Traffic Safety Administration. Check for recalls. Search the CPSC database to see if a specific product has been recalled. You can also search by company. Graco Recalls. Graco recalled millions of car seats earlier this year because of sticky-buckles which were trapping children in the seats. Just last week, it also recalled 4.7 million defective strollers which can cause finger amputation. Graco recalled the 11 stroller models after 10 fingertip amputations and one finger laceration. The strollers were sold from 2010 until earlier this month at a number of retailers, including Target, Toys R Us, Walmart, Amazon.com and Walmart.com. Read the recall notice. Furniture Recalls. Common home furniture also caused child injuries this year. In August, Ace Bayou recalled 2.2 million bean bag chairs after two children unzipped them, crawled inside and suffocated to death. Anyone with one of these defective chairs should call the company for a repair kit to disable the zipper. Another serious recall impacted in Massachusetts. Earlier in the year, Lane furniture renewed its recall of wooden cedar chests after two children in Franklin became trapped in one and suffocated. The children had apparently been playing hide-and-seek and became locked inside. The company first recalled the chests in 1996, but millions of the defective chests are believed to still be in use without the necessary repair. In the Massachusetts case, the children’s family is believed to have bought the used chest at a second-hand store more than a decade ago. Second-hand sales are challenging to regulate, as are families and friends who pass along used products to each other. This makes it important to know the characteristics of an unsafe product as well as specific products which have been recalled. Buy age-appropriate. Read the age recommendation on toys and children’s products. Consider a child’s family. If you are buying for a child with younger siblings, buy something which is safe for all ages in the household. Be careful buying online. After a product is recalled, it is against the law to sell it in stores or online. But some auction and online listing websites do not police private sellers closely. 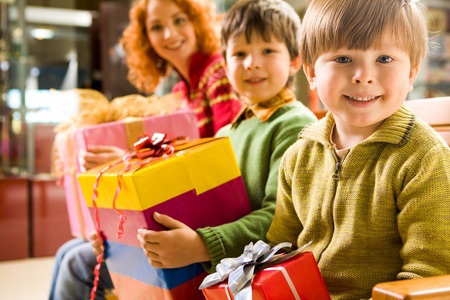 Avoid these sites when holiday shopping for children. If you purchase through a merchant website such as Amazon.com, make sure you receive the right product and that it has the same age appropriate label and pieces as shown online. Beware of suffocation and choking hazards. Avoid balloons, marbles and toys with small pieces which children can put in their mouth. Also avoid small magnets. Remember these things come with many toys, but they also come from other gifts and products that enter a home. For instance, the magnet desk sets which were so popular many years ago for adults turned out to be extremely dangerous for children. In some cases with the Buckyball magnet sets (which have been recalled), children found small magnets years after families brought the set into their home in hard-to-reach places, such as under a couch. Our point is: Please consider every gift carefully. Parents across the country are checking their backseats after Graco issued one of the largest child safety seat recalls in history this week. 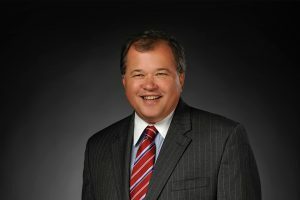 It may not be the last recall either; the Georgia-based company is facing pressure from the National Highway Traffic Safety Administration (NHTSA) to recall 1.8 million additional seats. Graco recalled 3.7 million car seats manufactured between 2009 and 2013, the fourth largest recall ever for safety seats and the largest in five years, according to media reports. The NHTSA announced Tuesday that Graco was voluntarily recalling 11 models, though the agency had sought recalls of 18 models. The agency has stated it could take legal action to force the recall of the other models, which are rear-facing models for infants. The car seats have defective buckles, which can be difficult to unlatch or become stuck. Graco said it was not aware of any injuries resulting from the car seat, but the New York Times reports the NHTSA began investigating Graco in 2012, after parents complained to regulators about having to cut children out of the seats from straps. One parent said it took her 45 minutes to loosen the straps enough to pull her daughter out. But there is at least one case of serious injury. In a Jan. 14 letter to Graco, the NHTSA noted the company was a defendant in a wrongful death lawsuit in Los Angeles Superior Court in which a two-year-old child was killed in a fire following a car crash. The child was traveling in a Graco Nautilus car seat. The company has said the wrongful death case was resolved by a confidential settlement agreement. Read the full list of recalled car seats. Parents who have defective car seats can contact Graco for a free replacement buckle. Graco says the seats are safe to use until parents obtain a replacement, but the NHTSA is urging parents to find other seats until they receive the new buckles. Parents want to be able to trust the car seats, strollers and cribs they use to care for their children. Because these are important purchases, many parents and family members spend time researching and reading consumer reviews on Internet shopping sites such as Amazon.com before purchasing. Mail in the product registration. You want to make sure the company knows you have its product and need to be notified of any defect or recall and be included in the remedy process. Do your research. Search the NHTSA database for car seat recalls. Car seat inspection. Visit this NHTSA website page to search for sites where you can get your car seat inspected. Watch as the certified professional fits your child’s car seat and what to watch as you go about your daily driving routine. Check your product. Remember a few basics about all children products, from toys to car seats. First, make sure they do not have small parts which can easily break and become a choking hazard. 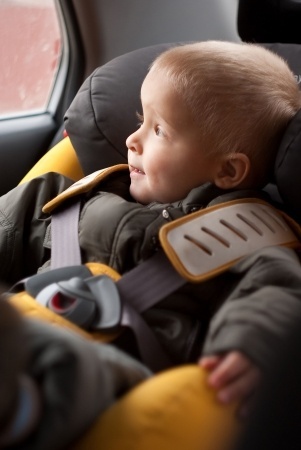 Make sure your child can move freely in seats with straps. Make sure the product can fully support your child by reading the age and weight requirements.